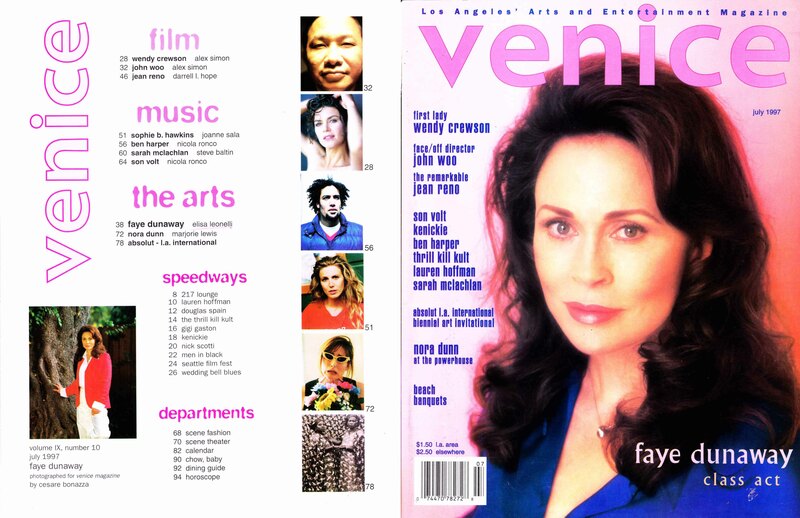 In 1990 I heard from a friend that VENICE, Los Angeles Arts and Entertainment Magazine, needed a new Film Editor. 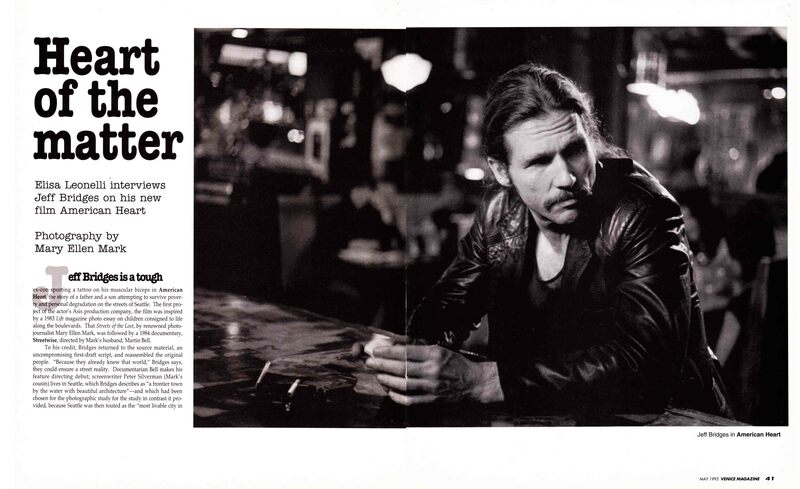 I was happy to offer my expertise and hold that title for 10 years. 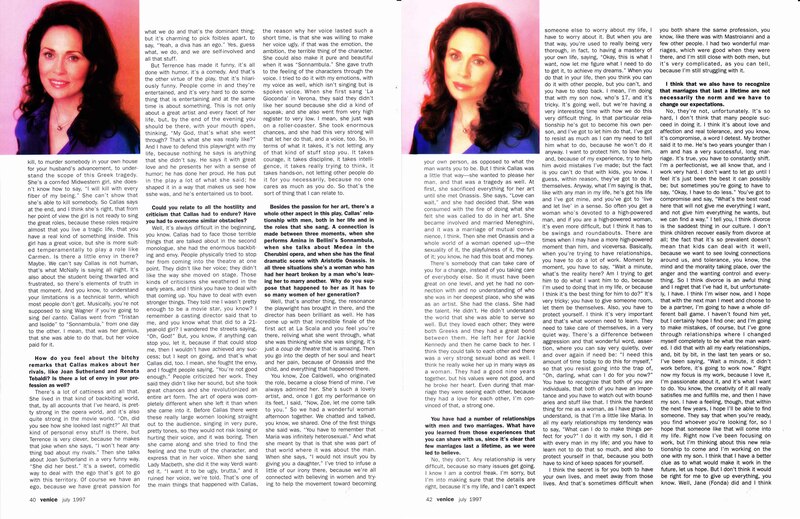 This position offered a good synergy with my work as an international journalist, because I was invited to conduct interviews as part of the domestic press, and often met actors and directors for one-on-ones. 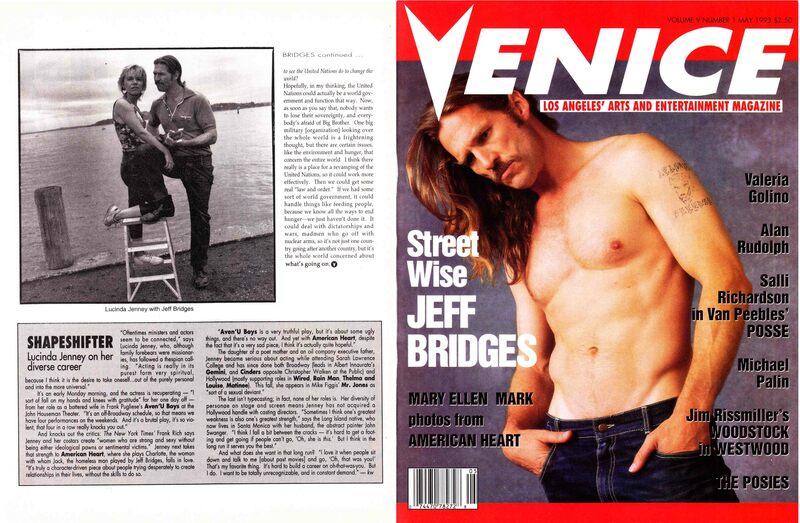 A highlight was the hours I spent with Jeff Bridges at his Santa Monica home talking about “American Heart”. Another unique experience was to chat with Faye Dunaway at her house in Beverly Hills. The fact that I was writing in English allowed friends, colleagues and studio publicists who did not understand Italian to read my articles, and appreciate my point of view. 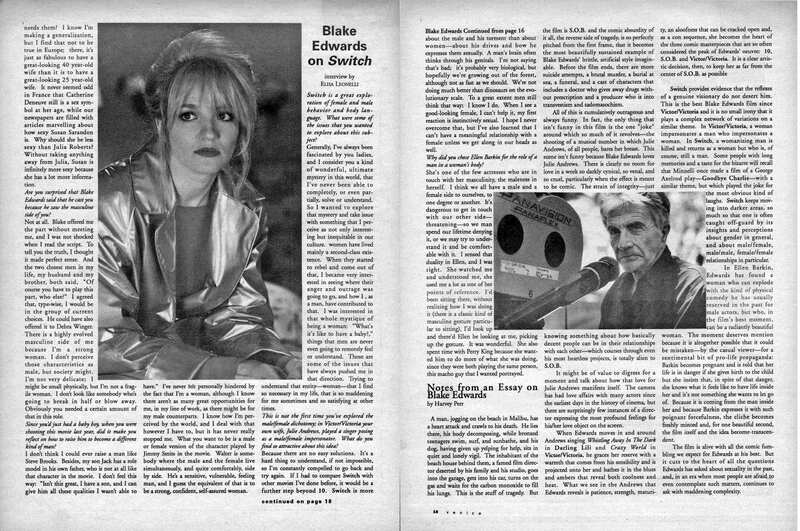 My favorite way to discuss the themes of a film was to put side by side the answers of the director and the actors, as in the case of Ellen Barkin and Blake Edwards for “Switch”. 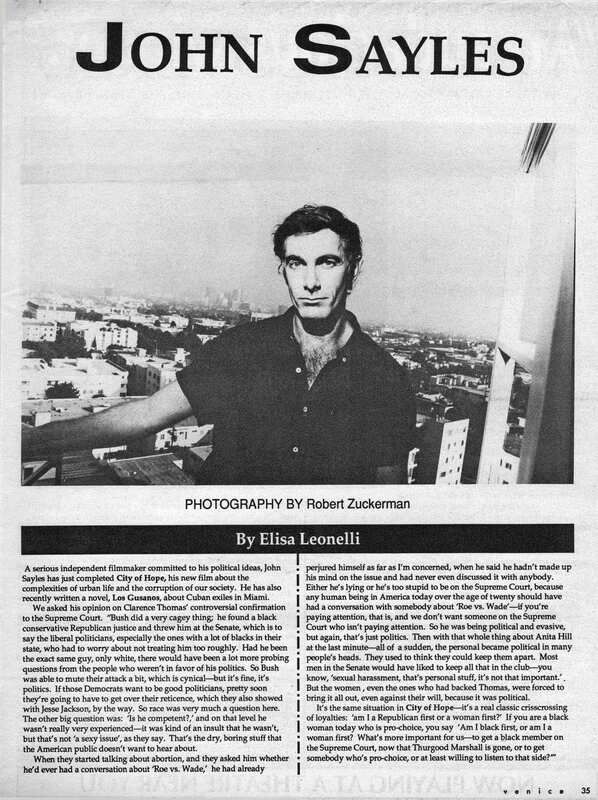 Another fond memory was to often be accompanied by Robert Zuckerman, a photographer who favored true-to-life environmental portraits. 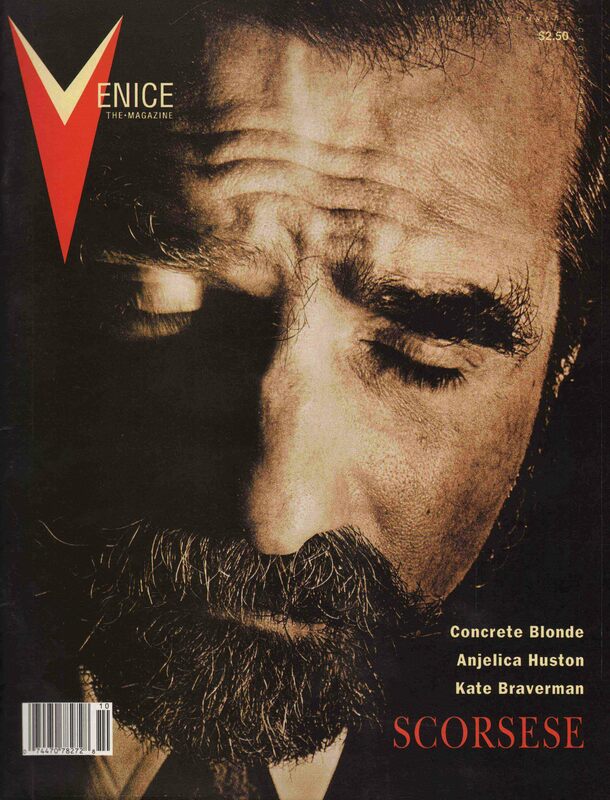 For a larger selection of published articles 1990 to 1990 go to VENICE by Elisa Leonelli.